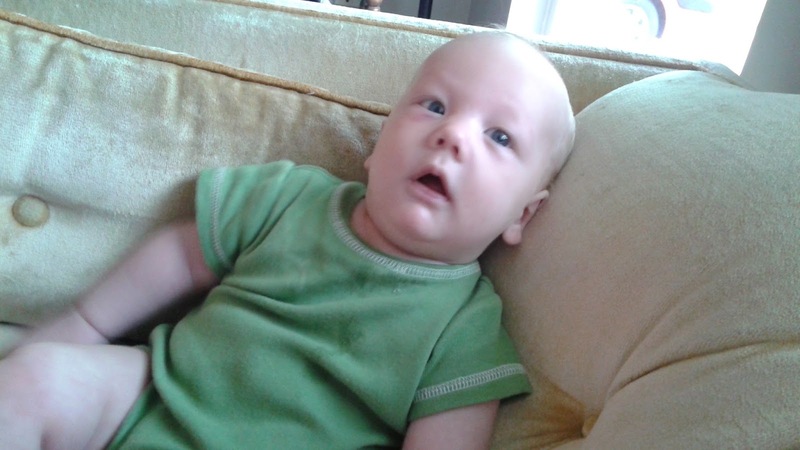 Sometimes when I look back on my days, I feel a little guilty. I feel like I don't do enough to play with my kids, or help them use their minds enough. Of course, we have a rule that they have to do chores and reading before they can get on the computer, and the rule that Keith has to read for equal time he is on the computer. Still, though, he is a sneaky boy and manages to con out more time on the computer, like a vegetable. Today, I decided to take a few pictures, just to see if their days really are so terribly vegetable like. This morning they were instructed to put sheets back on Faye's bed. A day or two ago they thought it would be funny to strip her bed, so I gave them strict instruction to get the sheets back on and the bed made. Without pulling the mattress down onto the floor, because that is how they usually try to do it. Of course, they had to do it their way. They pulled that mattress off the top bunk, put the sheet on it, and then, together, they hoisted it back on to the bed. I was impressed since the last few times they whined about not being able to do it, and so the mattress sat on the floor until Jeffrey got home. Because it is important for them to think that Daddy is the strongest in the land, and it is difficult to maneuver a mattress while balancing a baby on the hip. Especially when the baby is too small to balance on the hip. 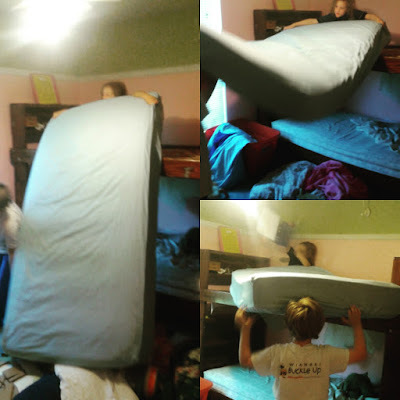 Once the mattress was back up on the bed, they both threw their hands in the air, in a victory dance, and shouted "We beat Mom!" I had to laugh. Later, I decided to tackle the jungle mess of my room. Kids bring so much stuff into my room and it gets so messy so quickly, it is sad. 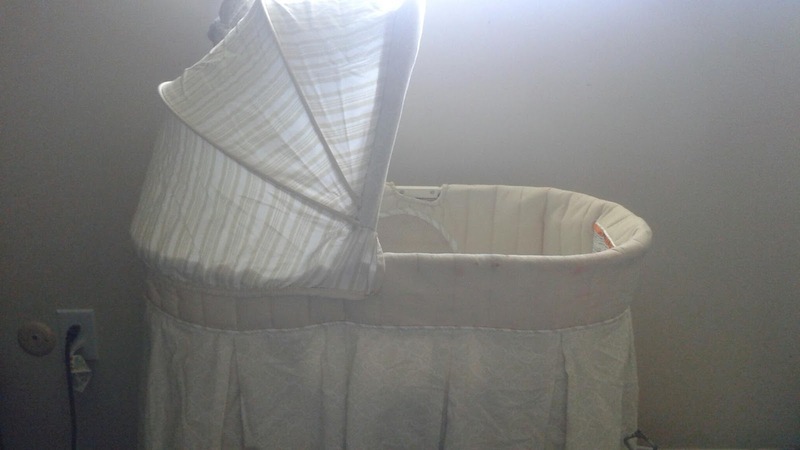 And I decided to take down the bassinet since it has just sat there for a few months, collecting stuff, so I couldn't put a baby in it even if I had wanted to. 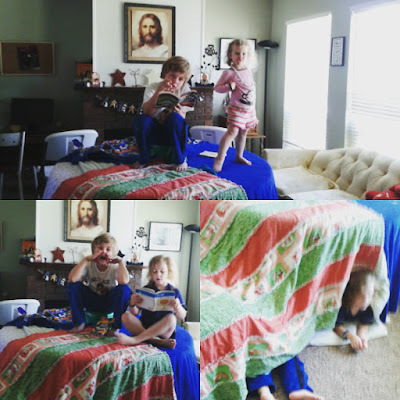 While I was cleaning my room, the kids decided to build a fort in the living room. They pulled out flashlights and books, and bunkered down for a little while. Until Beth decided that she must have complete control over the flashlights and was kicked out of the club. When Jeffrey got home and I was still working on the bedroom, he was darling and decided to take the children on a walk to the park. Including Vince. He is a trooper. 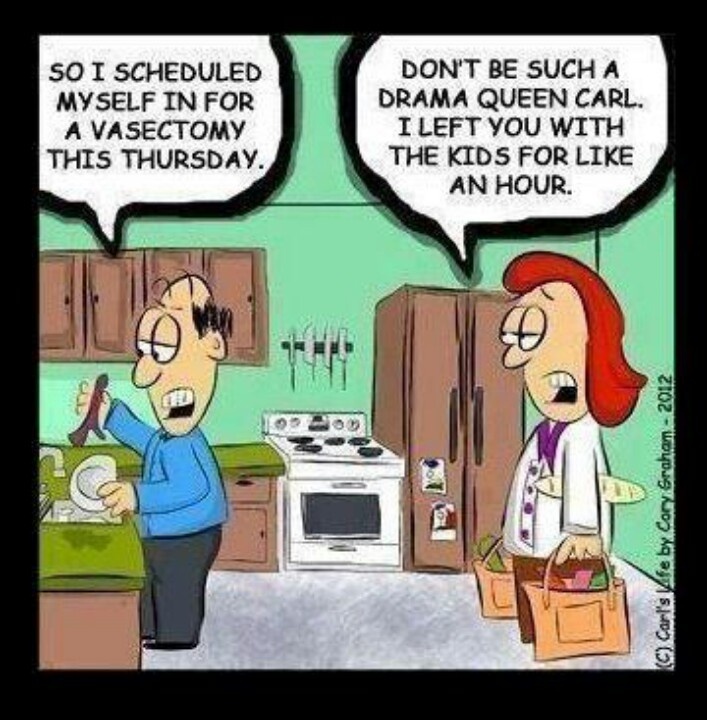 I saw this cartoon while he was gone, and we both had a good laugh over it. But he was wonderful, and took the kids without any coercion at all. And he survived! And I was able to finish my room, which makes me immensely happy. And then, Keith decided he wanted to watch Pride and Prejudice with me. The good version! It is what I had playing in the background while I cleaned. So the boy and I curled up on my bed in my now wonderfully clean room, and watched. I love that he wanted to spend time with me, and that it is doing something that will benefit him when he is dating. Having an intimate knowledge of Pride and Prejudice is a good thing for any man, in my opinion. It is nice to know that my little darlings do do things other than vegetate in front of a screen. I only have to pay attention and keep track. Great idea! I might have to do that this week! So what version is the good version to you? I personally adore the 6 hour version. Just thinking of it now makes me smile and swoon all over again for Mr. Darcy. And I love the old 1940's black and white version with Greer Garson and Lawrence Olivier.